This surprisingly lightweight jacket is sure to carry you into the Fall months and into Spring. The detachable fur collar secured with buttons allows you to play around with the look and provide different options for your look. A loose fit, but there are draw strings throughout the jacket to allow for a fitted look around the waist and bottom. Zip closure with snap buttons. 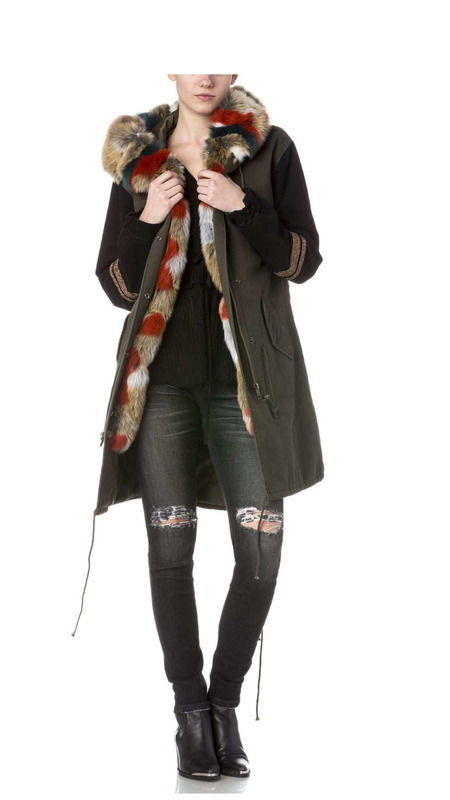 Wear with skinny jeans and boots for a perfect Fall look.